Assembled from hundreds of single metal sheets. Each sheet treated with saw, laser, engravement shows a part from the school and its pupils. TSAI offers individual stories being manufactured to a singe ball. Even in night time the sphere can be a focus by using internal and/or external illumination technique. 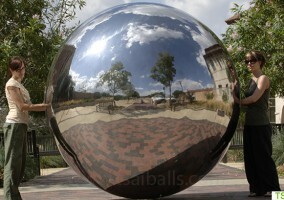 #Glitter #ball left from christmas or public artwork? 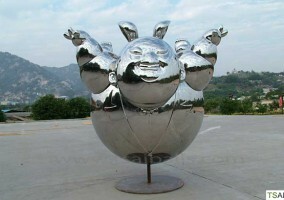 A TSAI follower found a curious piece of artwork in a public park. Giant glitter balls are provided by TSAI as well. Merry christmas 2017!